The health condition of Artush Margarian- the father of Gurgen Margarian brutally killed by Azerbaijani Ramil Safarov – has sharply deteriorated. He is in a critical condition at the moment, surgeon Ara Voskanian said. “His life is in danger. The surgery went well, but then the patient’s condition sharply deteriorated because of concomitant problems,” Voskanian told Aysor.am. Let us remind you that he RA Prosecutor General’s Office said around 8:00 am on September 5 the Malatia police unit of Yerevan was informed by Malatia Medical Center that at 07:50 am on the same day Artush Margarian was admitted to their center with a stab wound of the abdomen. He immediately underwent surgery. A surgeon said following the operation, Margarian had four abdominal stab wounds and two non-penetrating cuts near the vein of his left hand. 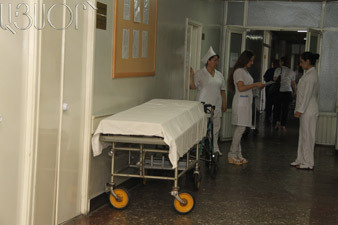 According to preliminary information, A. Margarian attempted suicide.